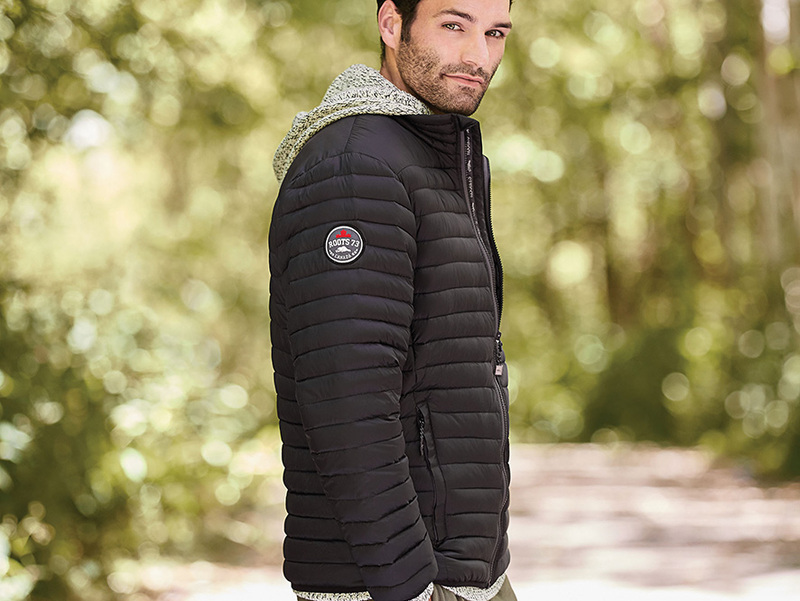 The Men's Roots73 Beechriver Down Jacket is designed with on-trend channel quilting and insulated with an 80% down/20% feather fill for lightweight warmth and comfort. The jacket features easy grip zipper pulls and packs away into a stuff sack for ultimate convenience on the go. FABRIC: 100% Nylon dull cire 380T woven, water repellent (600mm) and downproof, 38 g/m² (1.1 oz/yd²).